Getting the kids involved in making homemade Christmas Gifts gives pleasure to everyone. Here are two very simple ideas for you to try. There’s nothing better than making secret packages to give as gifts at Christmas. Toddlers may want to do this in a quiet moment, as a surprise for a brother, sister or granny. Or maybe it is something all the family join in. 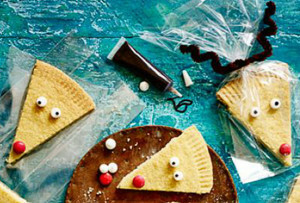 Either way we’ve found these satisfyingly simply Rudolph Shortbreads for you to make with the kids. What’s particularly special is that just one Rudolph shortbread looks great in a cellophane bag with a pair of handsome antlers at the top. A lovely Christmas gift. Check out how to make them here by the clever people at BBC Good Food. We got thinking – this shape of shortbread would also work as a jolly Christmas tree (the other way up of course) decorated with Smarties as baubles. When everything is wrapped and piled into a basket the whole family can take the festive goodies to friends and neighbours nearby. ey’ll love them. 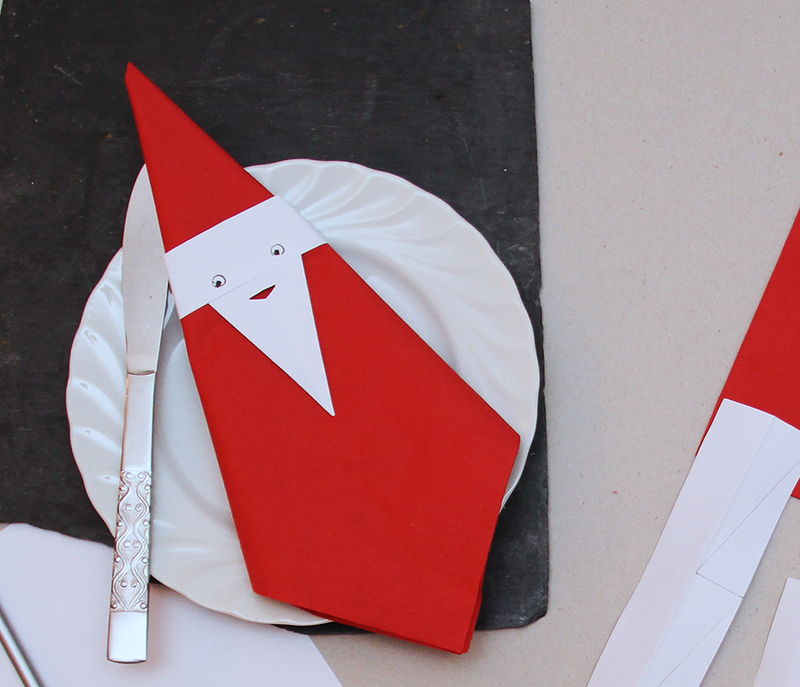 ‘Tis definitely the season to be jolly and we have another fun idea – for the Christmas table this time. It’s a Binky Bear exclusive: Father Christmas Serviettes. 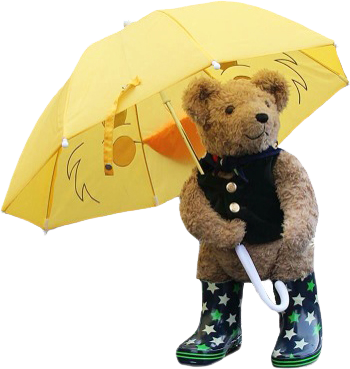 If you’re creating with very little ones, scissors are involved, so having the various parts pre-cut will help. 1. On the short (21 cm) side of the sheet of paper cut a 2.5 cm wide strip. Mark the centre with a small dot in pencil and draw a circle for each eye (5 mm diameter approx.) about 1 cm either side of the central dot. Or use Googly eyes. 2. To make the beard – first cut a 4.5 cm wide strip of paper and fold in half lengthways. Mark and cut out three 7 cm long triangles, as shown above. Then about 1.5 cm down from the top of the beard cut out the laughing mouth across the fold. 3. Attach the beard to the underside of the white ‘hat-band’ using sticky tape. 4. 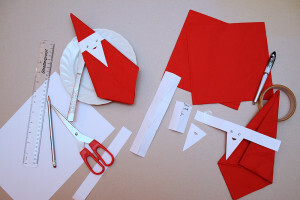 Now fold the red serviette in 3 and finally put Santa’s beard and hat-band across the top part of the pointed hat. Cross the 2 ends of the white band at the back of the serviette and secure with tape.